Academy Award-winning composer Howard Shore is among today’s most respected composers and conductors. He’s been a frequent collaborator with David Cronenberg for 35 years and has scored nearly all his films since 1979 including 2014’s Maps to the Stars. He’s also had a long-standing collaboration with director Martin Scorsese on films that include Gangs of New York, The Departed, The Aviator, and Hugo. 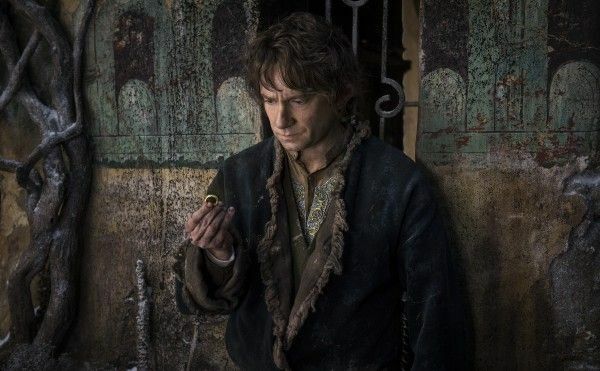 However, he is probably best known for his work with Peter Jackson on The Lord of the Rings and The Hobbit trilogies, including this year’s The Battle of the Five Armies. Recently, he also composed the original music for director Jon Stewart’s biopic, Rosewater. I really enjoyed your scores for Maps to the Stars, Rosewater and The Hobbit: The Battle of the Five Armies. I thought they complimented the films so well. I’m wondering if you can talk about your collaborative process with distinctly different directors like David Cronenberg, Jon Stewart and Peter Jackson. How does your approach differ with each of them in terms of crafting the sound and helping them realize their vision for their films? SHORE: To make good films, you have to have a good relationship and good collaboration as composer-director, composer-editor, composer-production designer-actor because you’re working with the actors on screen. I even go back to the original novels and am I feeling something from seeing J.G. Ballard’s Crash or William Burrough’s Naked Lunch in the case of Cronenberg’s films. I always go back to the original material. I want a good connection as the composer and writer of the score to the director and to the source material. It’s really important. Different directors have different techniques in the use of films. Cronenberg is very different in the way he works with film, and how he takes the audience into his films is different than how Peter Jackson would do that or Jon Stewart. So, if you go between those artists, you shift gears and you kind of fall into the working method of that film. Can you talk about your process of composing a score? Do you do all your compositions in sketch form first and deal with the harmony and the counterpoint first, and then do the orchestration after that? SHORE: Yes. I write my scores in pencil, and I work with the real basic fundamentals of music counterpoint and harmony, and I do four six-line sketches of the themes and the piece, and I gather that information. Then I go about how to place this music into the film, what I call a scoring process, if you will. That’s usually done in conjunction with the director in terms of spotting how we will use the music in these scenes and why is it being used in the scenes. So you’re asking yourself a few different questions and then you’re going into orchestration about the performance of it. How can you realize the composition? What will it sound like when you play it? And then, you’re to performance in conducting performance, recording, producing, mastering, editing, all of those technical considerations kind of into gathering the final recording, which is essentially what film music is leading to, this recording. Do you usually try to play your music from the point of view of the story’s main character and write it to their point of view? SHORE: Film music really is about point of view and you can shift it wherever you want really depending on how you look at it. We were talking about how directors use music in films and that really has to do with point of views. So, sometimes you want to use the music in a clarity way to explain something in the film. In the case of The Lord of the Rings or The Hobbit, it’s considered a very complex, complicated fantasy world, so the music was used for clarity of storytelling by using themes and motifs in that way. Whereas, in David Cronenberg’s films, there can be more a sense of ambiguity. If you’re doing a film like Naked Lunch, you don’t always want to be using the music in a way to express ideas inherent that are on the screen. You might want to work more around the fringes of the story, and work more with the subtext, and add more depth to the story through the use of music. 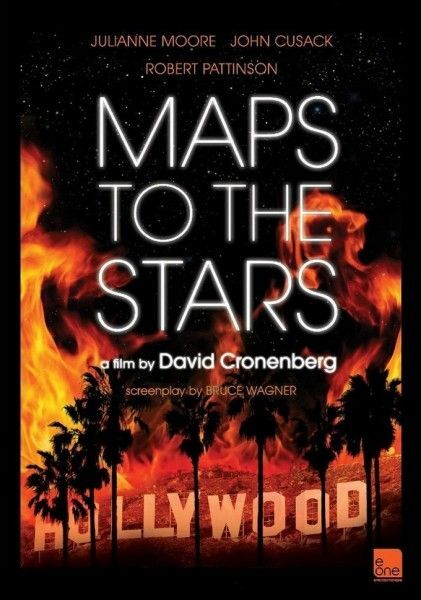 When you’re scoring a satirical drama like Maps to the Stars, or a large scale action movie like The Hobbit, or a biopic like Rosewater, how do you balance the energy of the action that we see up on the screen with the humanity of the characters and their story? SHORE: In the case of Rosewater, John wanted to really keep the feeling of hope alive because it felt like such a hopeless situation to be taken away from your family and put into solitary confinement in an Iranian prison. So, the feeling of hope was always something we wanted to keep alive in the film. In other stories, like Maps to the Stars, working so specifically with a main character like Julianne Moore’s character, I’d say less was required. With David, I work with the feeling of the film and the subtext more than I’m working so directly with one character’s journey into the film. But I might create some thematic idea early on that I can then let blossom near the end of the film, which can encapsulate really all of the emotion of the film towards the last reel. Quite often I can do that with David’s films. You can see that in a movie like Crash as well. In something like The Hobbit, the music is used really as I say for clarity of storytelling, really looking at things in a way that the audience feels immersed in Middle Earth and they know where they are. They know what culture they’re in. They know who’s talking to who, where the action’s progressing to, how the battle is unfolding by using themes and leitmotifs. The battle is quite interesting because it always tells you how the struggle is progressing, whether it’s waning or victory is at hand. I think it’s used in a different way. When you’re developing your major themes for each film, how does the choice of instruments vary depending on the type of film and the context of a scene? SHORE: I don’t do orchestration until after I’m satisfied and happy with the composition. Then I look at the orchestration. I think of orchestration as performance. What room will it be recorded in? I have to take into consideration the physics of the room, the microphone placement, the placement of one musician to another. If it’s a symphony orchestra, how are they placed in the room in context of the design of the room? So, whether it’s Wofford Town Hall in England or Wellington Town Hall in New Zealand, all of those things come into play with me with orchestration. And then, I look at the scene, whether it’s a dialogue scene, whether it’s an action scene, how will the music be interfacing with sound effects, with the dialogue. All of those things you have to take into consideration when using different colors of the orchestra or even the weight of different parts of the orchestra. What’s really required in that particular part of the film to tell that story clearly? What character or situation was the most fun or challenging for you to create some music for? SHORE: Well, it’s all fun to a certain degree. I mean, there’s always a sense of adventure to it. When you start on a new film, no matter how many you’ve done before that, I think I’ve done close to 80 films, but it’s always kind of a fun adventure. Where is this? Where are we going? Where are we meeting? I like to do a lot of research on all of the films I work on. So, I like to read a lot. That’s always an interesting part of it with me. Working for Martin Scorsese is fascinatingly interesting, because Marty takes you into so many great areas, and shows you so many films and books, and makes you aware of so many things about filmmaking that you might not be aware of. You’re constantly learning. On a film like Hugo, which we did a few years ago, that period is so interesting to me between silent films and going into sound. It’s a wealth of information that you’re exploring in that world. Thirty years of silent movie music into years and years of filmmaking history. So there’s a fun adventure aspect to entering into all of these different worlds. What happens if the studio gives you notes? Does that help focus or hinder your creativity? SHORE: I usually work with the director and it’s just a collaboration between me and the one person. I think you make good movies that way. If the director and the composer can have this common goal and this excitement about making something great, then you’re going to do something good. What happens when the director edits to a temp score and then you come in to do the final score? SHORE: You try to work with the film in its pure state. I look at the film without any music or sound. I try to grasp the story from the screenplay. I try to write to the novel or book if there is one. I try to create music that’s honest and true to my heart for the story. Were there any specific scenes that were particularly difficult for you? SHORE: No. I mean, there’s a working aspect to it that’s difficult. When you’re working on a film, it’s intense and it’s very all-consuming. There’s not something in particular. I mean, in something like The Battle of the Five Armies, you’re required to write three hours of music. There is a difficulty in that, just in saying that. With Rosewater, you’re dealing with a story set in a particular time in a certain country. There’s a lot of research involved in just understanding that particular moment in time, the politics of it, learning about the story, studying Jon and the way he made the film, but all interesting really. Is part of the fun of being a film composer the fact that every director you work with, even those you’ve worked with before, has a different vision and a different way of working, and some know more about music than others? SHORE: Well, I grew up in repertory theaters, so it was comedy one night, drama the next. (Laughs) I’m used to going from one to the other. And I worked for years in television as well. So, I like the interrelationship of it and having a good relationship with a group of artists creating something really where the sum is greater than all of our individual contributions, our parts. How did growing up in Canada influence your music and inspire you? How do you feel your roots contributed to your development as an artist? SHORE: When I started writing music, I was studying woodwinds, the clarinet. My teacher was Morris Weinzweig and I was 10 years old. Morris’ brother was John Weinzweig who is probably the most famous classical composer in Canada. I think by osmosis Morris thought it would be good with his young student that he learn harmony and counterpoint. And I thank him for that because he gave me the tools of which I started to work as a composer. He had me doing exercises in pencil every week at a young age, and then I just kept the pencil going. All these years, every day, there’s another four or five pages to the work, so he really gave me the means to start to create music on paper. At any point in your artistic career, was there music that really impressed you and made you say that’s what I’m aspiring to? Who or what were your inspirations? SHORE: I had great inspiration from a Japanese composer named Toru Takemitsu. He wrote over 90 film scores and a lot of concert music, a lot of classical music, and he gave me a lot of inspiration, as well as composers from other countries like Nino Rota in Italy, Georges Delerue in France, and Bernard Herrmann in America that were really inspiring. I learned about their work when I was in Toronto from a music library on Avenue Road. I could just go in there and pick out these records, these recordings that were mostly in vinyl. At that time, everything was in vinyl. (Laughs) And I would listen to their work and kind of dream about writing music. I was also listening to a lot of classical music and jazz at the time. I did early work for CBC. Canadian Broadcasting gave me a chance at a very young age for writing radio, dramas and comedies. Then I did CBC television and I did documentaries in Canada as well. I had quite a bit of opportunity really as a young and up and coming composer. How do you decide what you want to do, what’s right for you, and why are these films something that you choose to do? SHORE: Oh boy, I don’t know the answer to that. I just follow my heart really. If something’s presented and it feels right. I never shied away from a challenge and I love doing these big, epic films. They’re interesting to me just on a pure music level, just in terms of the amount of music I could create for a symphony orchestra and chorus. I just look for things that I feel connected to. I have to feel something emotionally on the story to be able to write for it. I turn things down if I don’t feel I’m really right to tell that particular story. Can you talk a little about the live concerts that you’re doing to projection for The Lord of the Rings scores? 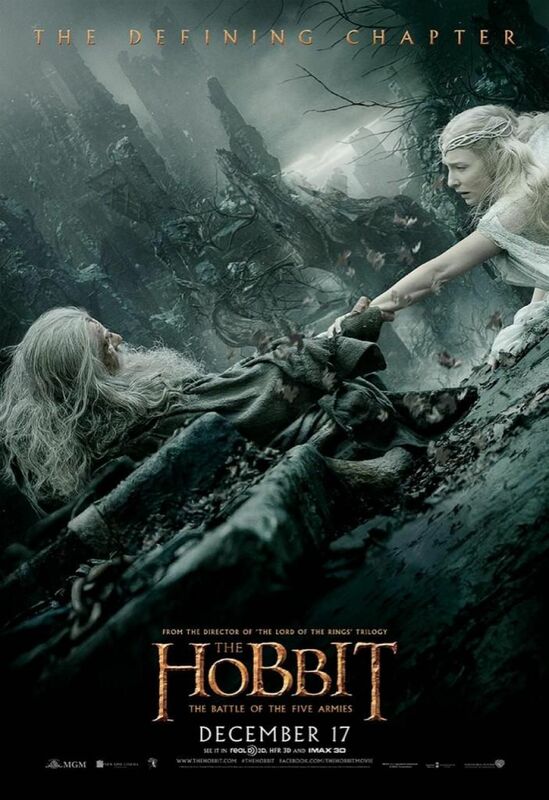 Are there plans to do something similar in the future for The Hobbit? SHORE: We’re still doing The Lord of the Rings scores live to projection. There’s one for The Fellowship of the Rings, The Two Towers, and The Return of the King. They’re different evenings. They’re doing the complete trilogy at Lincoln Center in April twice. They’re doing six concerts in April that Ludwig Wicki conducts with his Swiss orchestra and chorus. There are 240 people on stage and a 60-foot digital screen. It’s a really interesting concert because you’re in a wonderful concert hall hearing a great symphony orchestra and chorus singing and playing the work. And then, you also have Tolkien’s storytelling and Peter Jackson’s incredible imagery on screen. So, it’s like you’ve never seen the movie quite like that. It’s like you’re hearing the movie and seeing the music in a completely new way. It’s very exciting. We started doing those concerts maybe about six or seven years ago and I helped create the scores. It took about a year on each of those scores to unarchive them and prepare them for concert. So, to do The Hobbit would take a few years to actually prepare the scores to do it if we do it. It must be exciting as a composer to see all of the music in one place at one time. SHORE: That’s actually how it started in ’04 or ’05. I did a series of releases of all of the music from The Lord of the Rings. It was ten CD’s – three for The Fellowship of the Rings, three for The Two Towers, and four for The Return of the King. When I was working on those, I put them out each year over three years. And I thought I had never heard all of the music in one place at one time. I was hearing it on recordings and I thought that would be wonderful just to hear it played once in a concert hall. So, I arranged it for one concert in Switzerland where we did I think The Fellowship of the Rings. And then, it was just popular and it took off on its own. And then, we did The Two Towers and The Return of the King. And now, we’ve done hundreds of concerts, 200 concerts I think, all over the world. Last night, it played in Sofia, Bulgaria and next it’s coming to Antwerp, Belgium. What are you working on next? Coming up, I believe you have Silence with Martin Scorsese and The Rise of Theodore Roosevelt? SHORE: They’re not actually confirmed. Neither of those has really been announced. I never really announce anything I’m working on that has to do with films unless I’m close to the release of the film or shortly thereafter. But I can tell you that I’m working on a new work. It’s a new concerto for guitar and orchestra with an incredible classical guitarist named Miloš (Karadaglić) for the National Art Center in Ottawa in 2016. 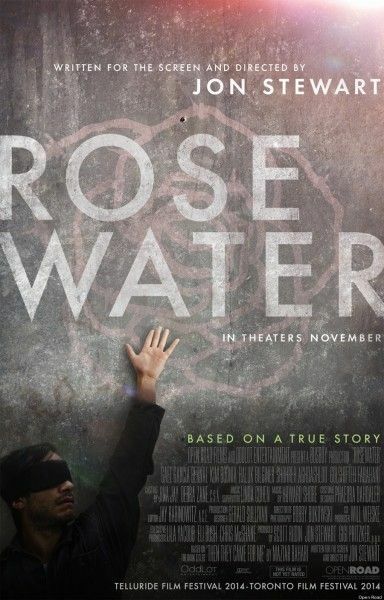 What are your thoughts on the early Oscar buzz that your scores for Rosewater and The Battle of the Five Armies are starting to generate? SHORE: Well, I’m delighted. I’m excited if it does. It would be wonderful to be part of the group this year.